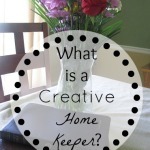 We have been talking about what it means to be a Creative Home Keeper. If you have missed the first two parts of the series you can go back and read Part 1 and Part 2. 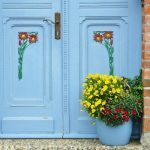 I don’t know about you, but when I hear the word creative it makes me think of arts and crafts, sewing, scrap-booking, painting, basically anything that you have to create. All those things make my stomach churn a little. Not because I don’t appreciate or love them (I do), but because when it comes to actually having to create them myself they turn out horribly wrong. I can’t sew, I’m not a painter, getting out craft supplies makes me anxious. I’m a little bit of a clean freak, and the thought of paint, glue, paper scraps, and (gasp, the worst) glitter makes me want to run for the hills. But I love the idea of creating something, and I do think that I am pretty creative too! Creativity comes in a lot of different ways, not just the artistic realm. While I may not be good at arts and crafts, I know my way around my kitchen pretty well and I can throw together some pretty elaborate lesson plans at the drop of a hat (I used to be an elementary school teacher- I think that job alone requires a lot of creativity)! A creative home keeper is exactly as it sounds, one who can creatively run the affairs of her household. Well, it’s there I promise! We just have to think outside of the box a bit. I’m the first one to admit that I am emotionally allergic to cleaning. I don’t find joy in the mundane house keeping tasks at all. With that being said just because there are some tasks that we don’t enjoy doesn’t mean that we can’t find creative solutions and find joy in our daily lives. I love the words cleaver, fertile, ingenious, innovative, inspired, productive, and visionary. I also found amusing the antonyms of what creative is not, and I do not want to be any of those things. 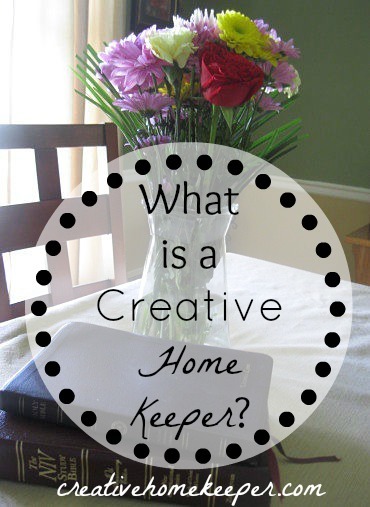 A creative home keeper is one who is living with joy provided from the Lord, and who fills her homes with laughter, love, memories, hugs, and kisses. Scrubbing toilets, folding laundry, and mopping the floors are also part of the deal too! Tomorrow in our final day of this series, we’ll take a look at what a creative home keeper is not. Looking forward to continuing on this journey with you all! 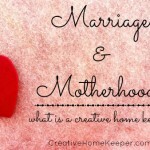 Marriage & Motherhood: What is a Creative Home Keeper?